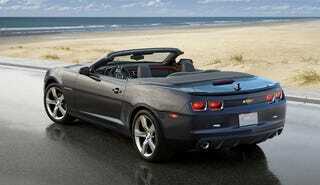 The first 2011 Camaro Convertible was sold for $205,000 at auction. You'll be able to get the rest of them starting at $30,000 for the V6, more for the SS model. Britney Spears impersonator not included.